Man this off season seems to be taking forever! Here is the news of the week. Yesterday the big news rolled out and I got fired up. 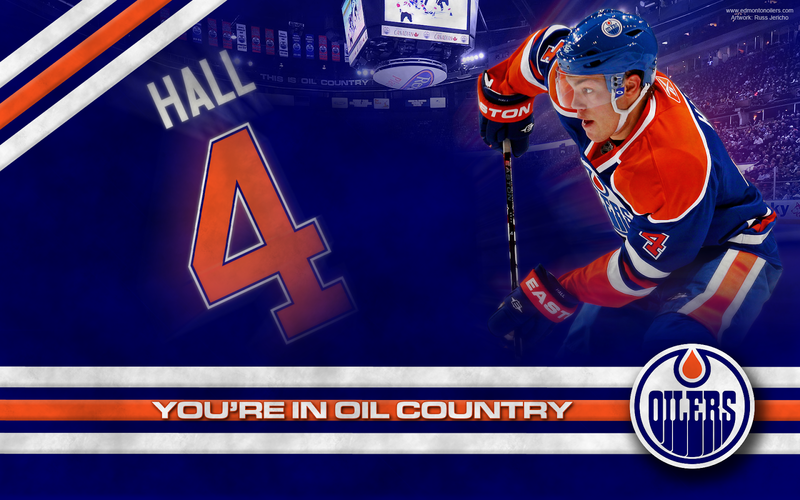 No, not the Khabibulin going to jail story, but the new Oilers players decided which numbers they are going to wear for the 2011-12 season. Pretty sad that numbers gets me fire up. Haha! Theo Peckham as we all know is changing to #24. That's a number that he likes to wear and now that he's part of the team, full time, he's going to wear it. Cam Barker took the unusual #13. I figured he would have chosen #2 or #8. Cogliano was the best, IMO, to wear #13 and it sure didn't bring him any luck. Let's see what happens with Barker this year. Big Andy Sutton chose to stick with #25. If I recall, he's worn that number often in his career. Eric Belanger has decided on wearing #20. Good number for him. He's worn a few different numbers over the years including #25 that Sutton took. BTW, put Eric Belanger into google search and look at the pictures. *my eyes are burning* The girls will like it. Big Bad Ben Eager is going with a familiar number. Once again, he takes #55. No surprise here. Darcy Hordichuk is the only player who hasn't chosen a number yet. I'd guess he takes #21. OK, I'll talk about Nik Khabibulin now. I have read the tweets and blog posts about this situation and it pisses me off. Don't give a criminal sympathy. Screw him and his deal now. This was dragged through the mud for months and months and in a roundabout way, tarnished the good name of the Edmonton Oilers. This would have been done with over a year ago if he just would have taken his punishment and moved on. I do not feel bad for him right now. I just wish the punishment was longer for wasting everyone's time. He is to spend 15 days in jail and 15 days at home with a monitoring bracelet. He is also to undergo alcohol treatment. I am in the camp that figures that Ryan Nugent-Hopkins will be an Oiler this season. He will make the team. He couldn't be worse than Cogliano was on the dot. And he sure can't be worse than JF Jacques skating around out there. Make #93 a part of this team ASAP. After the 1st weekend of free agency, the Barons have suffered some big losses. In addition to Brad Moran leaving for Sweden, we learned that Colin McDonald signed with Pittsburgh and Alexandre Giroux signed with Columbus, leaving the Barons without their top line and top three scorers from last season. That's a huge chunk of the offense from last season, but how much exactly? Obviously, that's a big hole to fill and unfortunately, the Oilers have yet to sign anybody that can really fill that hole. Jeff Taffe and Brett Sterling, who I would have put in that category, were both signed by Minnesota and St. Louis respectively. Josh Green showed he can score last season, but not those numbers. There's a slight possibility that Linus Omark starts out here next season, but without Liam Reddox, it'll be interesting to see if he can keep his pace where it was. Anton Lander is another possibility, but it still only fills some and not all of the gap. One free agent that can help that is still on the board, Darren Haydar. Haydar scored 27 goals and 47 assists in 77 games for the Chicago Wolves last season. He's never had a season where he scored less than 50 points in the AHL, and he's another strong veteran that the Oilers have seemed to be looking for to fill out the roster for the Barons. Oh, and we're still looking for a goalie.